January 31, Owatonna, MINN. – Southern Minnesota Initiative Foundation (SMIF) recently received a $70,000 grant from Minnesota’s Department of Agriculture (MDA) for a Feast! Smart Start initiative. This grant will provide technical assistance to local food and beverage makers, producers and growers. SMIF, in partnership with the FEAST Local Foods Network, will use these funds to offer trainings and conferences for southern Minnesota food businesses to increase their capacity and growth potential. This announcement comes just after SMIF and the FEAST Local Foods Network launched the Grow a Farmer Fund, which provides lower-interest loans to small-scale, sustainable farmers. “The Feast! Smart Start Initiative along with the Grow a Farmer Fund are two new ways the FEAST Network is strengthening our local food ecosystem in southern Minnesota,” said Bishop. SMIF will partner with FEAST Local Foods Network partner Renewing the Countryside to host a conference for food businesses on March 26. In addition, a select number of businesses will undergo executive training to strengthen financial, marketing and management skills. These businesses will go on to participate in six months of businesses coaching. Preference will be given to food businesses who have participated in the annual Feast! Local Foods Marketplace, received MDA Value-Added Producer grants or other MDA grants, and those applying for and receiving Grow a Farmer Funds. For more information on the Feast! Smart Start initiative, contact Pam Bishop at pamb@smifoundation.org or 507-455-3215. 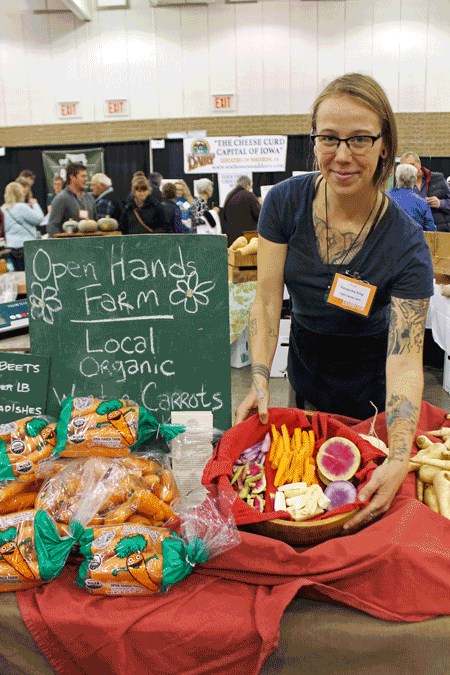 The FEAST Local Foods Network is a collaborative network across Minnesota, Iowa and Wisconsin of local foods advocates. The FEAST Network organizes the annual Feast! Local Foods Marketplace. Partners include Renewing the Countryside, Region Nine Development Commission, Southern Minnesota Initiative Foundation, University of Minnesota Southeast Regional Sustainable Development Partnership, The McKnight Foundation, Minnesota Department of Agriculture, Mayo Clinic and People's Food Co-op. The network was created to support local food producers and foodmakers by boosting access to financing, resources, and peer-to-peer learning opportunities. Visit www.local-feast.org. Renewing the Countryside works to bring inspiration, ideas, resources and assistance to those looking for sustainable ways to strengthen their rural communities. For nearly 15 years, they have done this through public education, economic development initiatives and technical assistance. Their main constituencies are current and aspiring sustainable business owners, farmland owners, and the general public. Visit www.renewingthecountryside.org for more information. Southern Minnesota Initiative Foundation (SMIF), a donor-supported foundation, invests for economic growth in the 20 counties of south central and southeastern Minnesota. The Foundation has provided more than $100 million in grants, loans and programming within the region during the past 30 years. SMIF's key interests include early childhood, community and economic development. To learn more about our work and mission, visit www.smifoundation.org.